The eight-time Mr. Olympia shares 6 amazing tips for getting shredded. Attaining a shredded physique is harder than you might think but when your veins are popping out and you can see every ounce of muscle you’ve worked hard for in the gym, it’s worth it! It takes a combination of training and diet but Ronnie Coleman has you covered on the training aspect since this was his forte during his competition days. So, you can either take his advice or forever leave gains on the table… check out his most important tips for getting absolutely shredded! 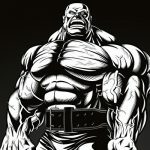 So, when Ronnie Coleman is trying to get shredded, he doesn’t go to failure during his reps. Why not? Well, he only wants to feel the burn in the muscle being trained. If the weight shifts to another muscle during an exercise, you need to stop because you’re not working the target muscle as effectively anymore. Stop your set when the pressure in your target muscle reaches a maximum threshold, and don’t let any supporting muscles become involved with the exercise. Focus and isolate one muscle only. Ronnie believes the best way to feel a muscle working is to use a full range of motion. Perform the exercise by fully extending and fully contracting. Squeeze the muscle during the positive portion of repetition to force as much blood in as possible. By using a full range of motion, you develop a mind/muscle connection which is important for muscle hypertrophy. Well, he wasn’t joking and was in fact very serious about the importance of lifting heavy for maximum gains. Ronnie believes you have to really hit every muscle fiber by stressing it with heavy weight. He recommends lifting heavier every workout. It’s not suitable for everyone because training heavy too frequently can be very stressful on the joints and body, causing many physical problems down the road. So, it’s more feasible to train heavy twice per week, and then train with less weight for your remaining workouts; which is better for overall longevity both in and out of the gym. Striations are a beautiful thing and there’s nothing like seeing every ripple in your muscles under paper-thin skin. When Ronnie Coleman trains he visualizes his muscle fibers enlarging and separating from each other. Your mind is a powerful thing and you can literally think your way to bigger gains by connecting with your muscle fibers through visualization. So, feel and visualize every repetition as you elongate and contract your muscles each time you train, and you’ll be surprised at the changes in your physique. 5- 10-15 Reps is the Sweet Spot! Why are 10-15 reps the most optimal range for getting diced and shredded?… Well, because Ronnie Coleman said so! His best results came from a minimum of 10 reps and a maximum of 15 reps per set. The reason for using this rep range is because you’re using a weight which is light enough for you to feel the muscles working, and it’s heavy enough to stress the muscles, which causes growth and striations. So, for example, let’s say you’re doing 15 repetitions of bicep curls. The first five reps will be light enough so you can feel the muscles contract under the weight. Then the other ten reps will be heavy enough to stress the muscles but you should still feel the contractions. It’s pretty simple to understand. A muscle grows when you can feel it contracting under resistance. If it’s too heavy you’re not effectively working the muscle. 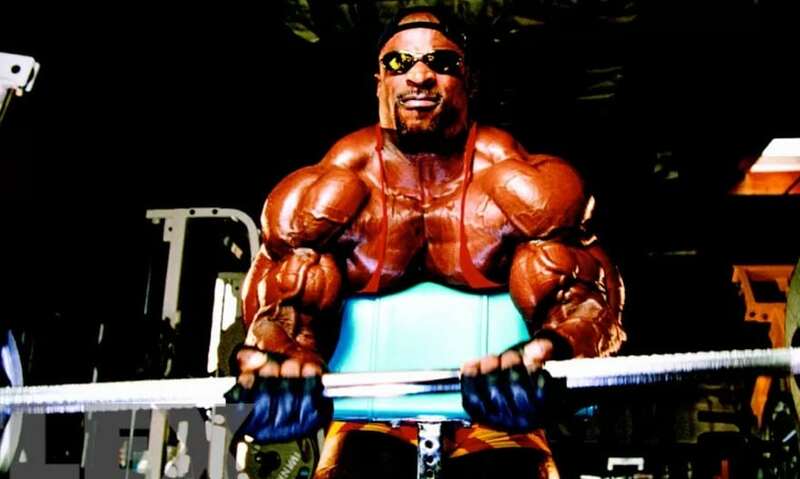 Ronnie Coleman’s favorite way to pump lots of blood into the muscle is with supersets and giant sets. They are both fantastic workout methods when you don’t have much time to spare. Super and Giant sets are also great for fat loss since there’s no rest in between sets, and you’re constantly moving at a quick pace raising your heart rate. What is a Superset? Supersets usually involve working two opposing muscles (e.g. Biceps and Triceps) or any two muscles back to back without resting until your sets are complete. For example, you’ll do one set of bicep curls and then go straight into rope pushdowns for triceps. You’ll just alternate between the two exercises until you complete all of your sets for each muscle. What is a Giant set? Giant sets are basically bigger supersets, where you’ll do multiple exercises for one muscle group with no rest in between. Or, you can do multiple exercises for more than one muscle group with no rest in between sets. You’ll perform each exercise with no rest in between sets. After a giant set, take a 3-minute break. Perform 3 sets per exercise. You can add more exercises and/or sets reps to your liking because there are so many different ways to perform Giant sets. Experiment and see what works best for you. Ronnie Coleman’s tips for getting shredded are invaluable, especially since he applied them to his own training (And we all know the result). Now, your diet has a lot to do with getting shredded because you’ll never look the part if you’re muscles are covered in layers of fat. Eating in a caloric deficit, or burning more calories than you consume by exercising more, will ensure that you burn the most body fat possible. But the good thing is, you’ve got the training part down now and it’s time to apply Ronnie Coleman’s most important tips for getting absolutely shredded! 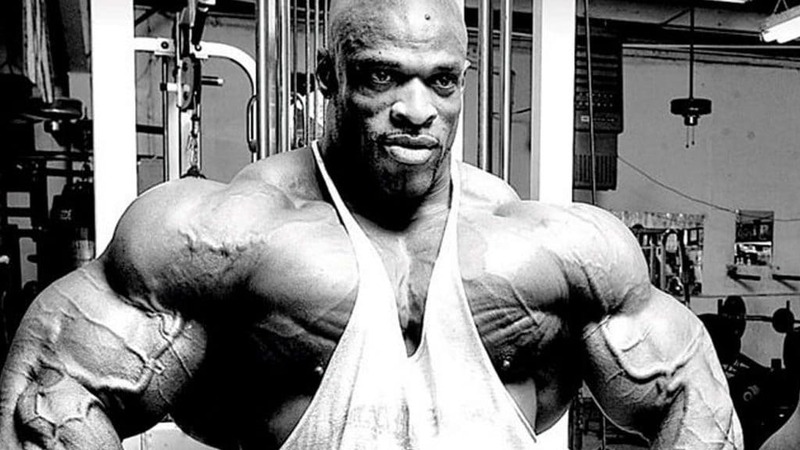 Check this out as well Ronnie Coleman’s workout for building pure mass.